Bruschetta is a favorite flavor combo around here and is frequently requested. So I took a twist from classic Bruschetta with Garlic Crostini and made these Balsamic Chicken Bruschetta Potato Skins! My mom had been hinting at and asking for these ever since I found out how to make the best potato skin shells. 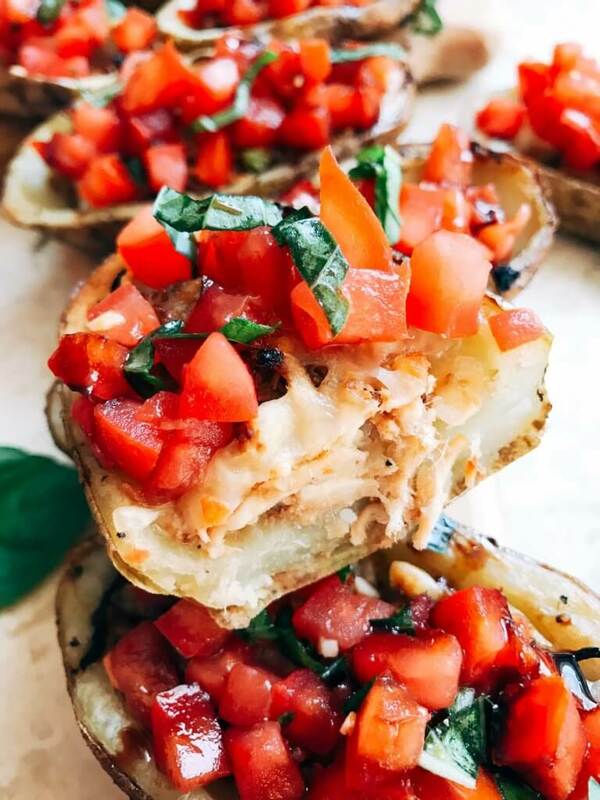 The freshness of bruschetta brightens up these Balsamic Chicken Bruschetta Potato Skins. I also love to use my balsamic glaze drizzled on top for some added acidity and flavor. 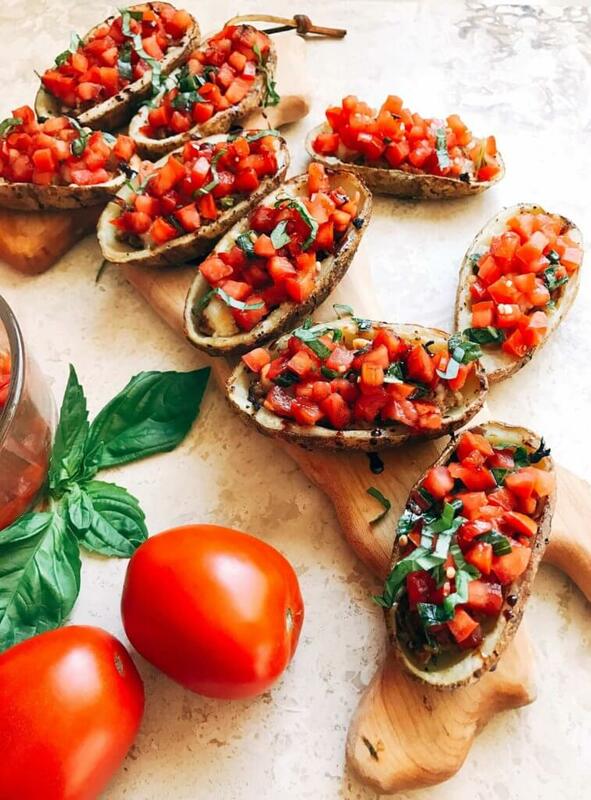 For a fast and easy appetizer, make the chicken, Bruschetta and the Potato Skin Shells in advance. 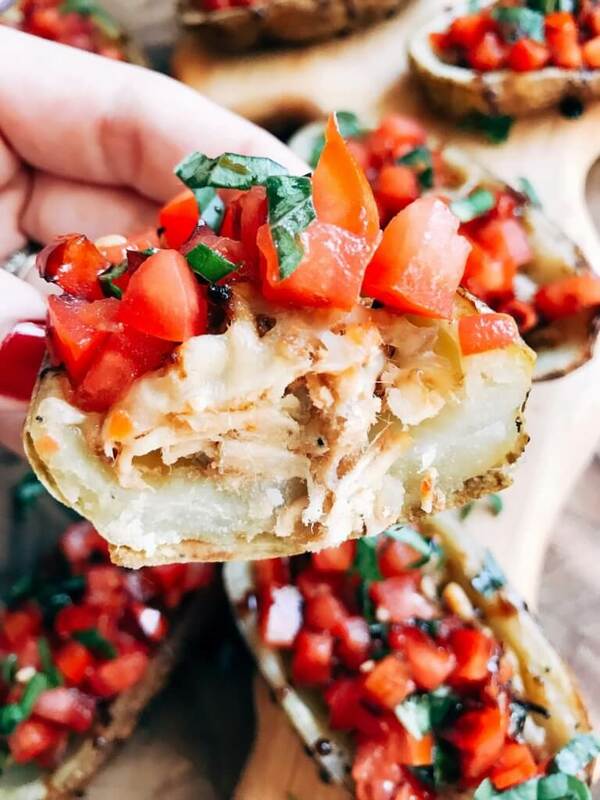 Then you will be able to make these Balsamic Chicken Bruschetta Potato Skins in less than 20 minutes! I am a big fan of making as much as I can in advance, because time always seems to fly when you are busy! And the chicken can be any leftover chicken you have on hand, making it easy. Prep your chicken, potato skin shells, and bruschetta mixture in advance for fast assembly. 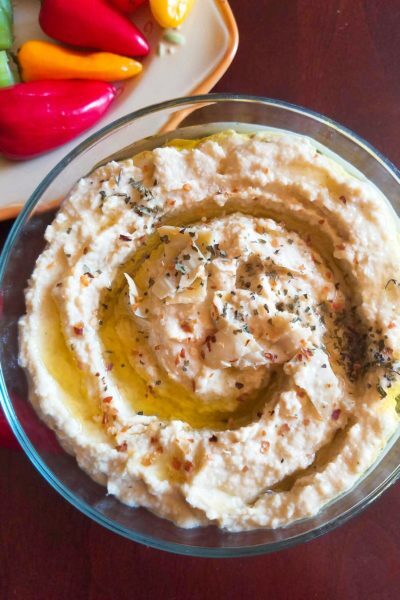 In a small bowl, combine the bruschetta topping ingredients. Cover and set in refrigerator. 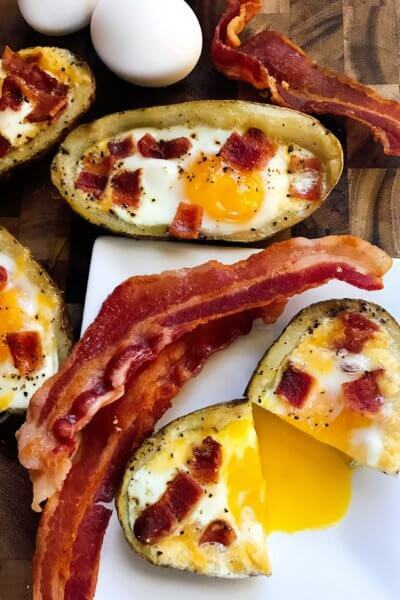 Follow the link in the notes to make the potato skin shells if you have not already. In a small bowl, mix the shredded chicken with the 1 Tbsp balsamic vinegar and salt. Set aside. 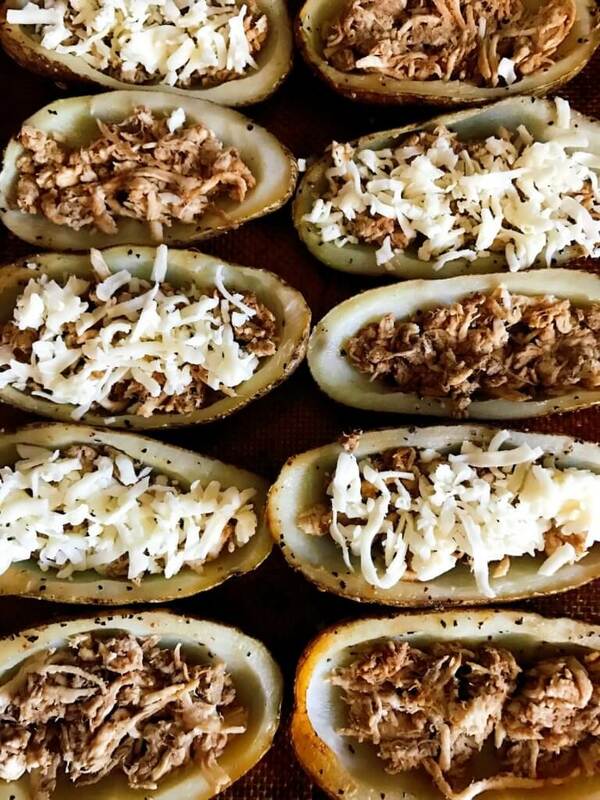 Place the potato skin shells on a baking sheet. Spread approximately 1 Tbsp of the chicken mixture into each potato skin shell. Sprinkle some mozzarella cheese over the chicken in each potato skin. Bake the potato skins until the cheese is melted and just starting to brown, approximately 12 minutes. Remove from oven. 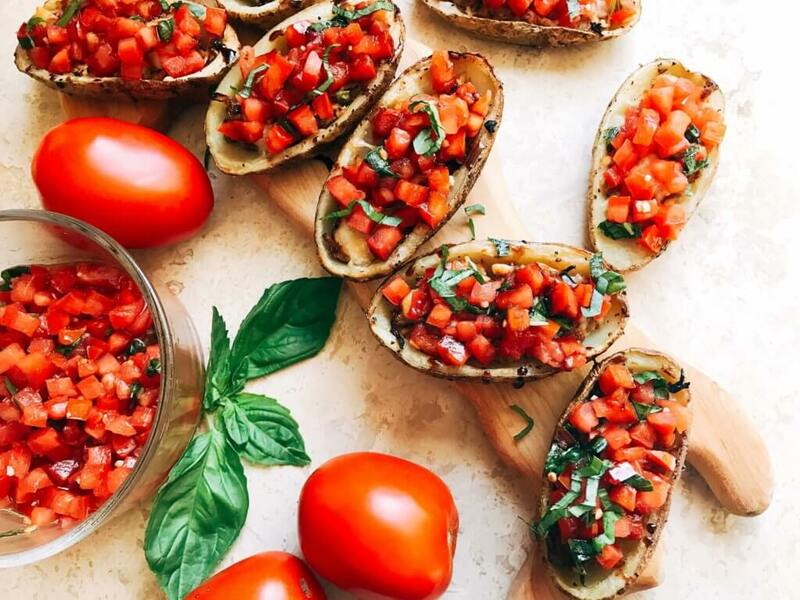 Top each potato skin with approximately 1 Tbsp of the bruschetta mixture. Drizzle with balsamic glaze if desired. Serve immediately. 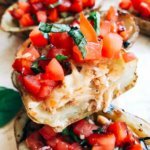 Learn how to make your own potato skin shells here! 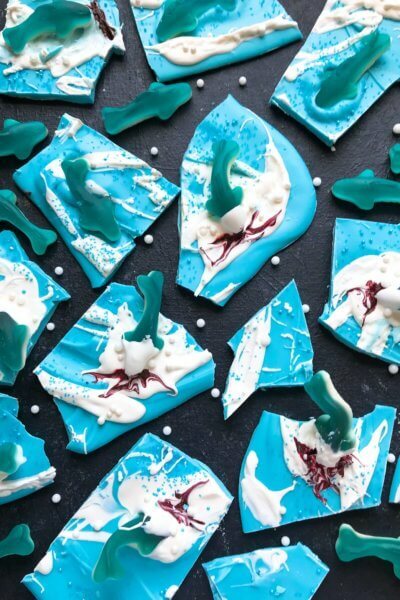 They can be made in advance and stored in the refrigerator. The longer baking time is to account for making the potato skin shells themselves if you have not done so already. The potato skins should be approximately 4" in length for this recipe. Leftover chicken is perfect for this recipe. You can also cook some chicken with salt and pepper if needed ahead of time. You can use a different type of tomato however I like Romas because they have minimal "guts" inside, so you are throwing away less. 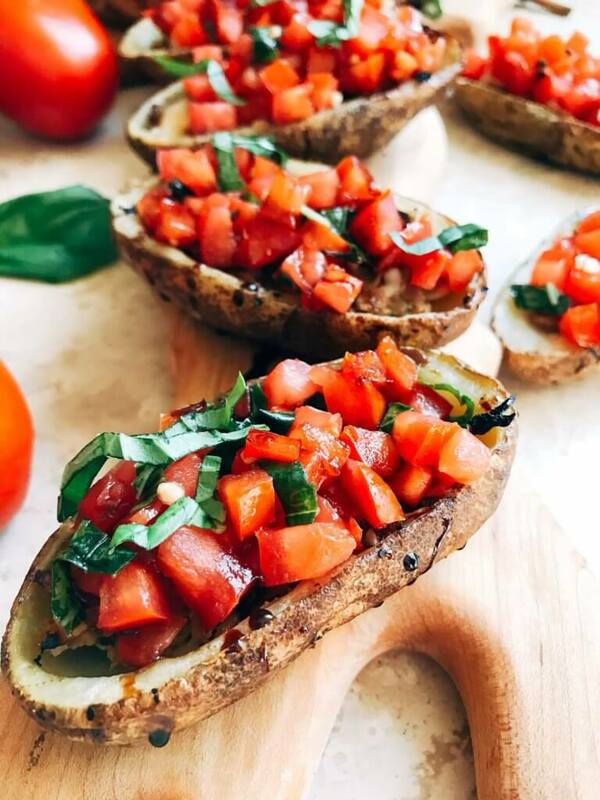 You can use leftovers of our fabulous Bruschetta recipe if you have it, or make the large batch and use just a little of it for these potato skins. 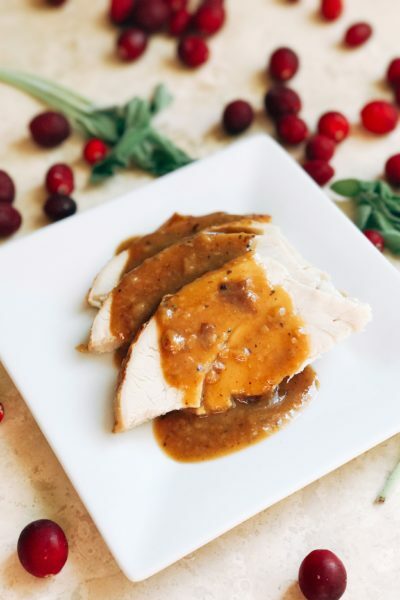 Grab the recipe for Balsamic Glaze! We use it on everything! I love how fresh the ingredients look. 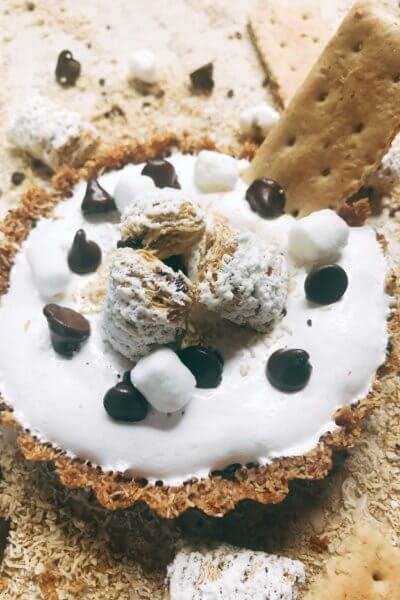 I also appreciate the uniqueness of this recipe. I have never seen potatoes used for bruschetta.